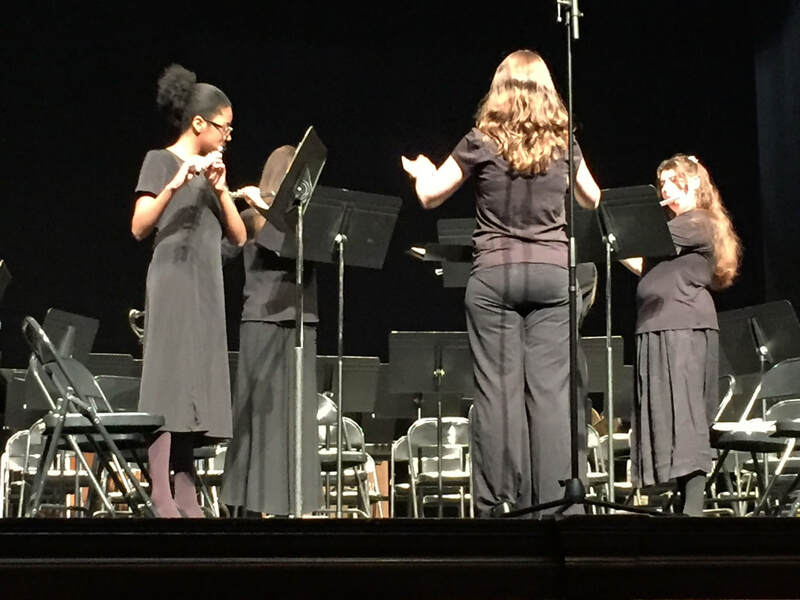 Six ensembles are under the umbrella of ASCYO: The Prep Orchestra, Chamber Orchestra, and Youth Orchestra; the Beginning Band, Symphonic Band, and Flute Choir. A brief description of each is listed below. A full symphonic orchestra for advanced students performing major symphony literature. Music Grade 5-6+. Youth Orchestra meets from 7-9pm on Tuesday evenings. A string orchestra for intermediate level students. Music Grade 3-4. Chamber Orchestra meets from 7-8:30pm on Tuesday evenings. A string orchestra for beginning musicians. Music Grade 1-2. Prep Orchestra meets from 6-7pm on Tuesday evenings. A band for those students who have had at least 2-3 years of Band experience. Symphonic Band meets from 7:00-8:00pm on Tuesday evenings. A program those students who have not played an instrument before. We offer instruction on flute, clarinet, trumpet, french horn, trombone, and percussion. Beginning Band meets from 6:00-6:45pm on Tuesday evenings. The Flute Choir is for musicians of varying levels. Flute Choir meets from 6:15-7:15pm on Tuesday evenings.